I love the names people give their boards. I am so very boring! It was such a fun day. I hope that one day you can hold your own party. This one has been pinned over 200 times this month. Wow. 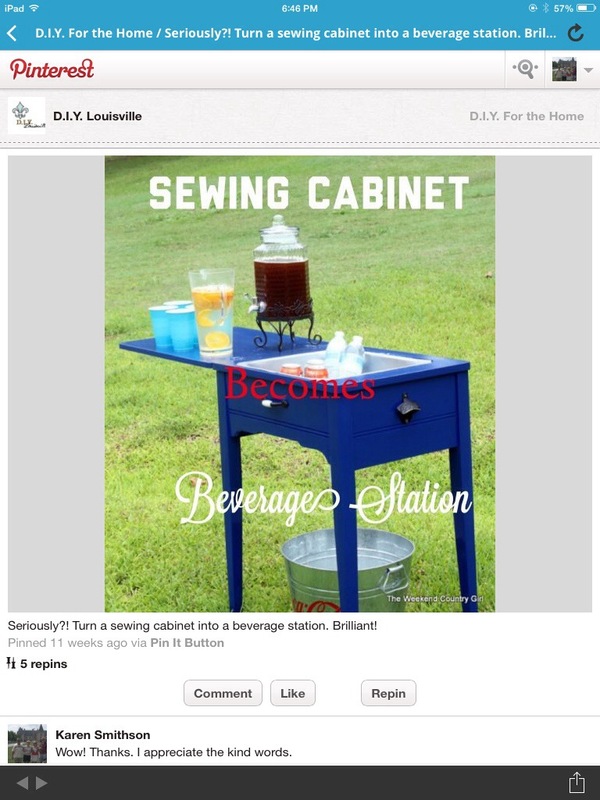 Thank you to those of you who are going to attempt our version of a beverage station! I am humbled that anyone wants to do something that I have done. PLEASE, PLEASE, PLEASE send pictures when you actually do this. Feel free to look at or follow my Pinterest Page. I use my name on Pinterst: Karen Smithson. 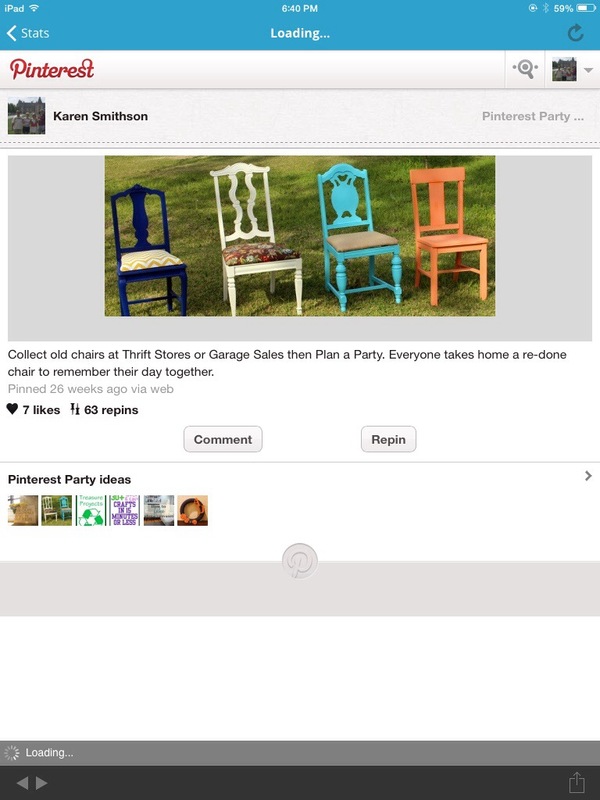 Love your idea of a paint a chair party! It was a fun way to spend the day with my sweet daughter in law. The guys all showed up in the afternoon- just in time for supper and a fire in the fire pit. It is one of those days I will treasure.